We all know the Student Visa mandatory to study in any foreign country to get permission to enter in their Country. The Same way Europe also requires a Student Visa to allow international students to study in their institutions. The great facility offered by the European Countries is that they offer Schengen Student Visa for the Non-European students who wish to study in Europe. Once the Schengen Europe Visa is approved the visa holder is not required to have citizenship of the designated country in order to follow studies yet it is no immigrant visa either. Together with the Visa, Students must also apply for the residence permit that allows you to reside in designated country, if the duration of the studies is longer than 90 days. Generally, it happens with the students who wish to complete whole academic year or even more. The European Student Visa is issued to only for the students who are already accepted at a certified educational establishment. Every student with citizenship of their home country that requires a Europe visa to enter Schengen Zone must obtain a Student Visa to follow studies in the educational institute of the designated Schengen Country. To obtain the Europe Visa, you have to submit your application for Schengen Visa to the consulate or embassy of the country where you will be starting your studies. When applying for Schengen Student Visa the applicant should pay a non-refundable mandatory visa fee which varies depending on the type of visa and age of the applicant as well as some other exceptions. Usually, the Student Schengen Visa costs around 99.00 EUR as your stay in Europe will last more than 90 days. When applying for Schengen Student Visa in order to travel to one or more of the Schengen Zone Countries, there are some requirements one has to satisfy prior to the application. So, you should bear in mind that you have to personally hand the required documents once you have made an appointment at the embassy/consulate. It is better to arrange the appointment at least 15 days prior to your departure since the estimated time needed for the bureaucratic process taking part in the corresponding institution. Once your Schengen Visa is issued you will be able to travel to all of the Schengen Zone countries for the time permitted on the visa. Every Schengen Country has nearly same requirements to issue the visa to the international students. However, depending on the consulate/embassy there may be slight differences in the required documents additional to the main identification papers and your current economic status. So you should submit all the required documents at the time of Visa Application Process in proof of stating that you have met all the requirements to be eligible for having Schengen Visa. When you are applying for Student Visa in Europe you must prove that you have met all the requirements as it has specified to get entry into Europe. To Prove that you are an eligible student you must submit documents in proof all Visa Requirements. For the sake of the candidates, here we are providing the complete list of required documents to apply for Europe Visa. You should attach this Checklist as a cover sheet to your application. Check them and Organize accordingly before applying for Student Visa. 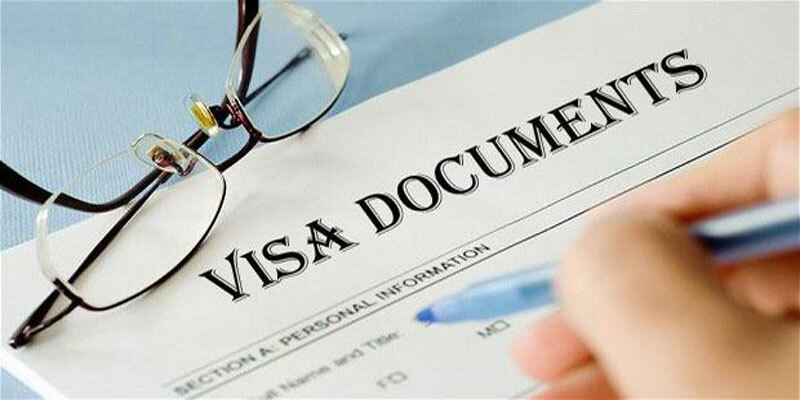 The Visa Application Form can be filled electronically and can take print out. Then you must submit this signed application form followed by other mandatory documents at the consulate/embassy or the representative of the country you are planning to study in. A Valid Travel Document/Passport (At least 3 months up to its expiration date). Cheque books for a foreign currency account. Credit cards or any other means that guarantees funds in hard currency. Proof of sufficient funds to maintain themselves during their stay in the foreign Schengen country. Letter of acceptance from your university. A bank receipt to prove you have paid the processing fee. Two recent passport size photographs (Appropriate for the designated embassy/consulate). Medical/travel insurance valid for your entire stay in the Schengen country. You may be required to submit some additional documents depending on the embassy/consulate to assure the request and the information are genuine, for example, some embassies/consulates require a certificate that proves you have no legal issues pending or a criminal record. Students must personally hand the documentation at the previously made appointment (as usually it is required). The person in charge at the Embassy/Consulate will notify you if there is any additional documentation needed and the nature of that documentation.